To meet these defense industry requirements, manufacturers employ a number of metalworking processes to produce their components; metal spinning, hydroforming, and welding are some of the most popular methods. Metal spinning, sometimes known as spin forming, is a metal forming process in which pressure is applied to a spinning disk of metal, forming it around a tool. Metal spinning is particularly well-suited to producing parts with unique curves or grooves, such as cones, cylinders, and parabolas, and can be performed either hot or cold depending on the particular material being spun. Best performed with ductile metals such as aluminum, brass, carbon steel, copper, Inconel, stainless steel, and titanium, metal spinning also uses less raw material — and creates less scrap material — than many other metal forming techniques. 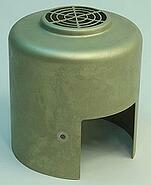 Hydroforming, a deep draw process, uses very high water pressure, up to 10,000 psi, to shape metal. Like metal spinning, sheet hydroforming is ideal for large-volume runs; unlike metal spinning, hydroforming can handle very thin metal sheet and maintains original metal finishes. The process allows for a great degree of precision, even when producing large parts — this is particularly important for defense applications. Similarly, aerospace hydroforming is especially well-suited for housings and covers made from specialty materials, such as nickel. 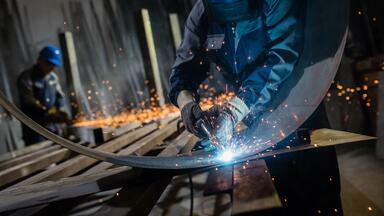 One of the oldest metalworking processes still in use today, welding remains a highly effective way to join metal parts. When performed by highly skilled craftspeople or on state-of-the-art automated machinery, welding can easily maintain the strict standards required by the aerospace and defense industries. 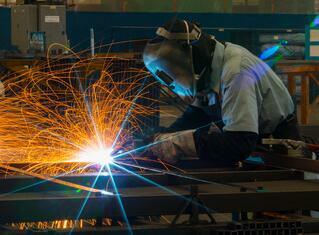 Aerospace welding and defense welding is performed in one of four ways. Metal Inert Gas (MIG) welding, also known as Gas Metal Arc Welding (GMAW), is a method of welding in which an electric arc is formed between a consumable electrode wire and the workpieces: The electrode melts at the arc point, depositing molten metal onto the workpieces. The metal then solidifies, thus joining the workpieces together. Tungsten Inert Gas (TIG) welding, also known as Gas Tungsten Arc Welding (GTAW), uses a non-consumable electrode made of tungsten. 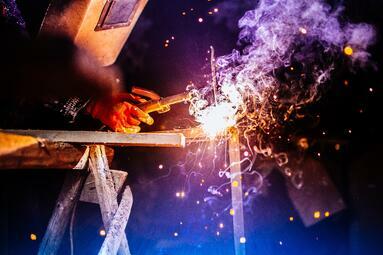 As with MIG welding, an electric arc is created, but instead of melting the electrode onto the workpieces, the workpieces themselves are heated and melted along the join, fusing together as solidification occurs. Soldering, used almost exclusively in electronics and other delicate applications, uses heat instead of an electric arc to melt a joining material into workpieces. Finally, automated seam welding refers to either MIG or TIG welding that is performed by an automated welding machine. A common type of aerospace welding, automated seam welding can produce high-quality joins at high volumes. Working with materials such as titanium, 321 stainless steel, and 7075, 5052, and 6061 aluminum, Helander Metal has been offering industry-leading metalworking services for over 80 years. We’re proud to offer a range of metal spinning, hydroforming, and welding services, enabling clients to easily meet the stringent manufacturing, engineering, and precision requirements of the aerospace and defense industries. To learn how Helander incorporates lean manufacturing methods to streamline process and ensure quality during production, check out our latest eBook. To discuss how the Helander team can help with your next aerospace or defense project, contact us today.